British-born Emma Gilbert started her professional life as a dancer. Training in classical ballet at The Royal Ballet School, White lodge, and The English National Ballet School in London she went on to perform in theatres and productions including the dance company of Stadttheatre Aachen, Germany, the musical Gaudì by Eric Woolfson and the renowned hit musical Notre Dame de Paris. Her career includes numerous freelance dance jobs in dance fashion shows, photographic and television commercials, television shows, music videos, trade shows, in Europe and worldwide. Throughout her physically demanding dance career Emma always held an interest in and a good instinct for massage. She began pursuing professional courses in massage therapy whilst still performing in dance. 2001 – Completed a course in Swedish Body Massage at “London Esthetique”, The London Academy of Beauty and Make-up. 2005 – Awarded a Sports Massage diploma from The London School of Sports Massage, UK. 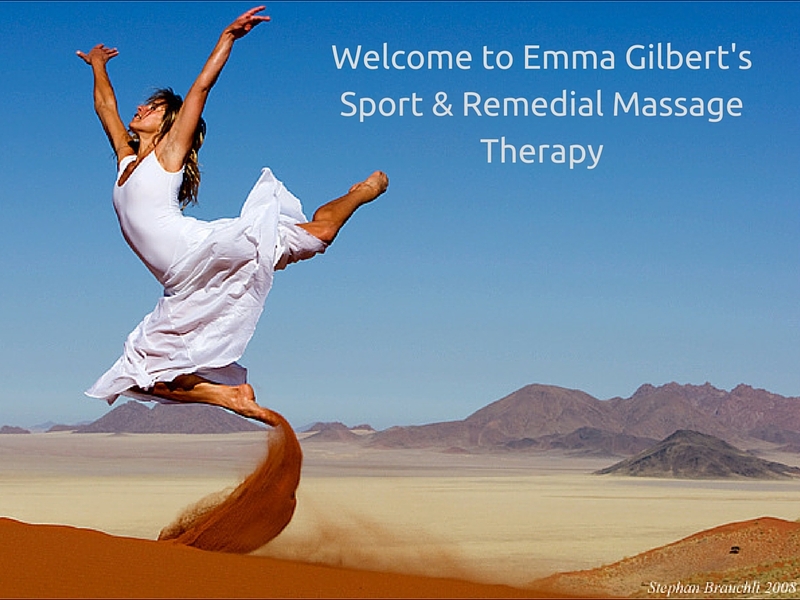 2005 – Awarded a BTEC diploma in Sport & Remedial Massage Therapy. Psoas: The storer of all stress. By Noah Karrasch. The goal of Sports Massage is to enhance performance. How does Sports Massage achieve this? Increased circulation – eliminates the waste materials that arise from the production of energy and debris from any tissue damage or inflammation. Restores and replenishes nutrition to the muscles for growth and repair. Early identity of potential problems – preventive treatment. Improved self awareness – only with massage can one monitor the effects of one’s training on the condition of the tissues. Improved flexibility –sports massage includes diverse techniques that facilitate stretching. Breaks down scar tissue and adhesions. Promotes circulation – improves healing. Can improve the rate of healing. … and it helps towards a full and speedy recovery!